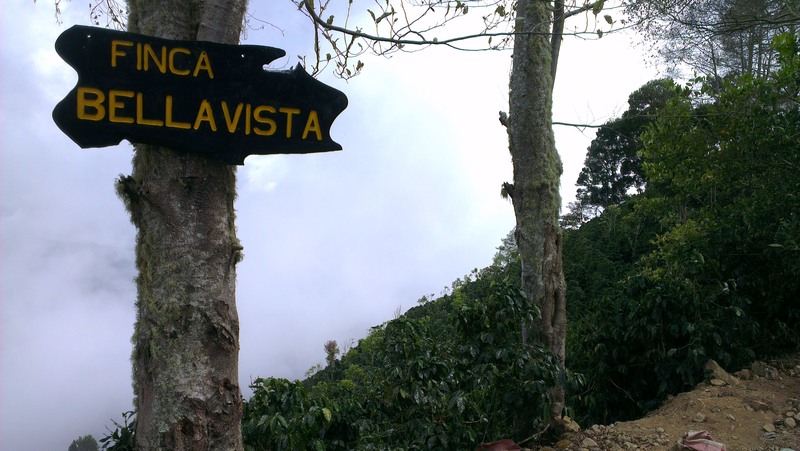 Costa Rica is a country I’ve been buying a lot of coffee from from the start, but I’ve never had the opportunity to go. 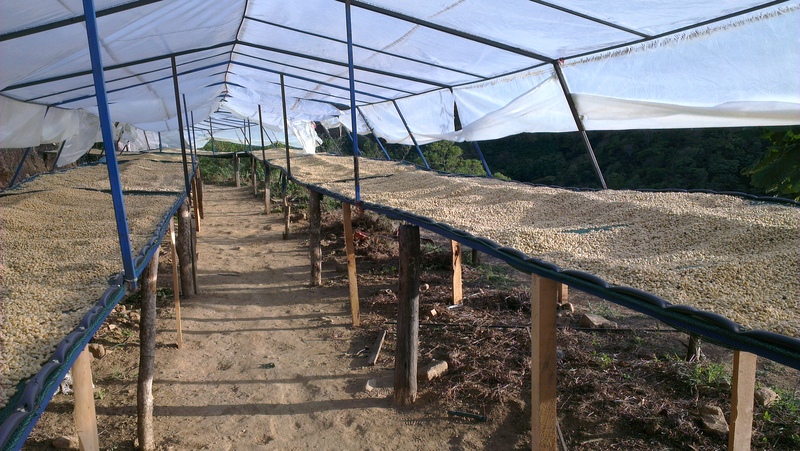 Small, full of micromills and well organized, the country is a great starting point for anyone who’d like to learn more about how coffee producers work. 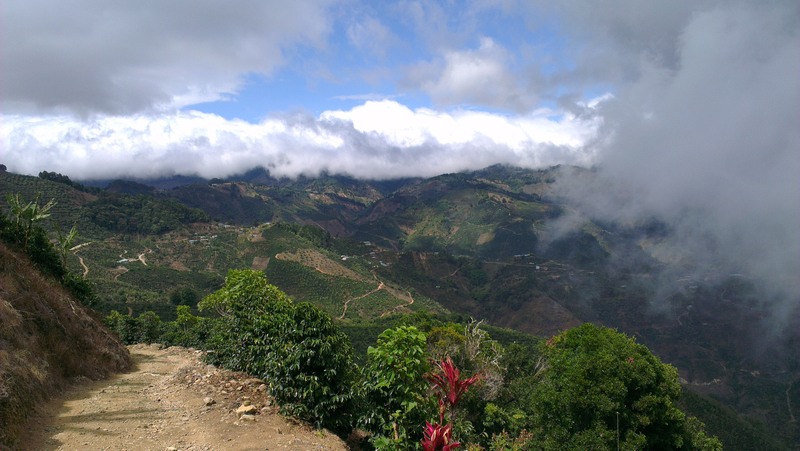 Traditionally, Costa Rican coffee has received good prices and the weather has been fairly stable and dry, which can lead to some of the growers being a bit complacent and skimping on or skipping spraying for rust. This year, the rain was unpredictable and came at a bad time, and many didn’t have time to spray before the roja hit. Many are down 30% on yields. From producing 4 million fanegas 12 years ago, Costa Rica produces less than half that today. At the same time, they consume 30% of their own crop every year, and that number is rising. 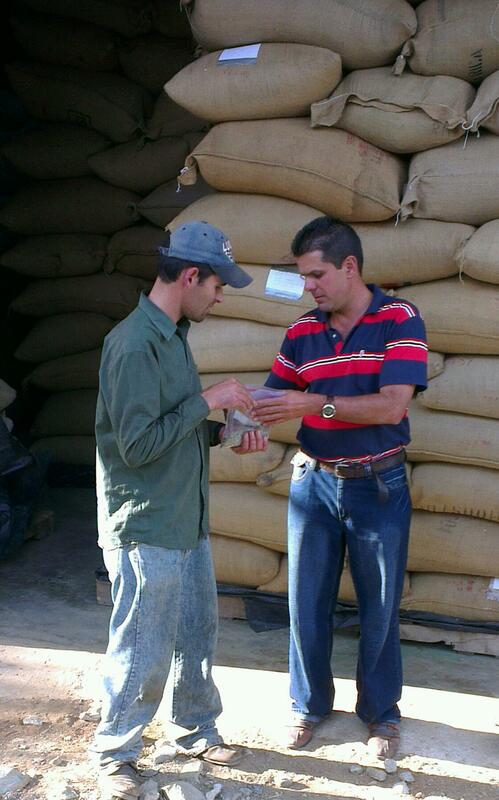 The micro mill revolution in Costa Rica is something that you will hear discussed. 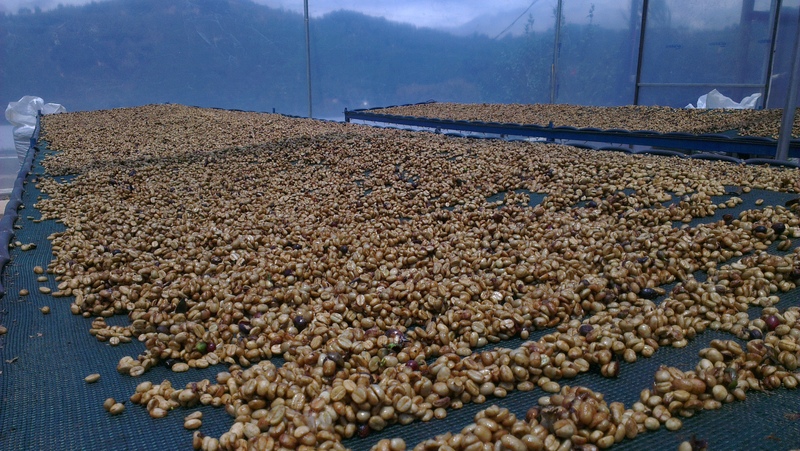 It is one of the ways producers here can wetmill and also dry mill themselves, adding value to their coffee in a challenging commodity market. The old model, where the farmers delivered cherry to the larger co-ops and mills, meant that they were completely dependent on the commodity market for prices. When the market is good they will get $200-240 per fanega, but now when the market has been very low, they have been getting half or less, and certainly less than their cost of production which is about $120-130. The only way they can help themselves is by skimping on things like fertilizers and pesticides, replanting of trees, or labour costs in picking only ripe. 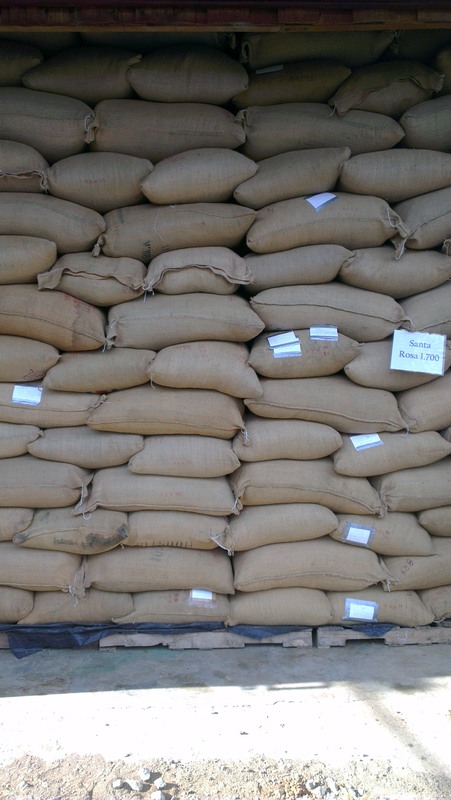 The Costa Rican tree stock has been technically, not naturally, developed, and needs a lot of input to yield well. So then you end up with old and badly kept plantations, that can’t produce as much, so the growers have even less income. Lower altitudes like lower Brunca and Guanacaste have been all but wiped out by the rust, and parts of the West Valley, Central Valley and Tarrazu have also been hit. 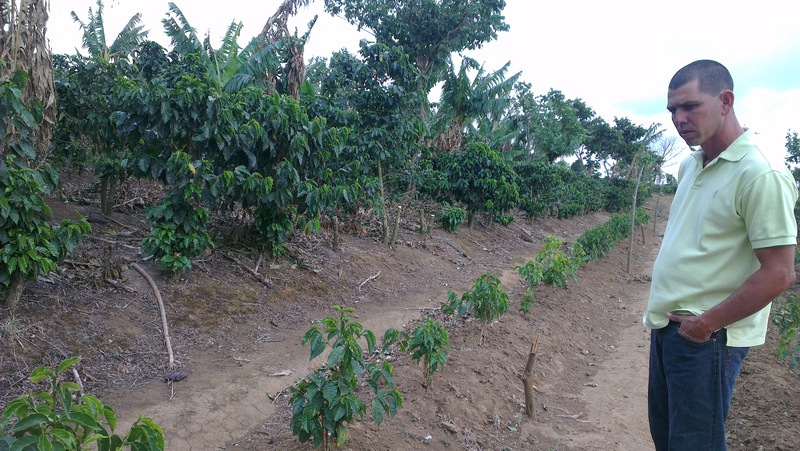 The ones that have made the move into micromilling their own coffee have found a waiting market in the specialty sector, received good prices and been able to pay for the fertilisers and sprays needed to continue to produce and select the best qualities. 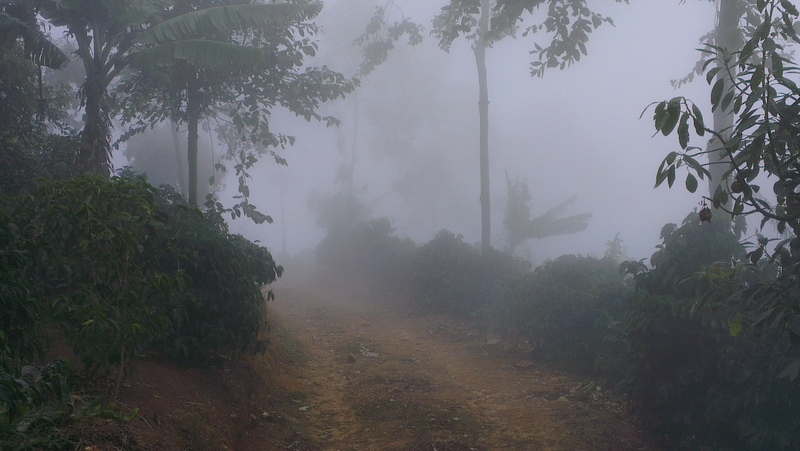 Producers are also moving higher up the mountains to escape the warming climate. From the 1st micro mill 12 years ago, today there are 150. 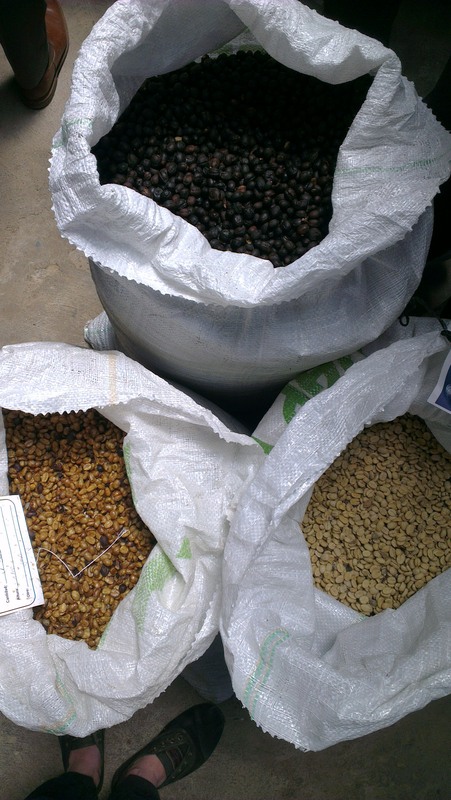 They’ll probably reach 200 in the next 3-5 years, and the demand for boutique lots should continue to grow as specialty roasters also flourish. 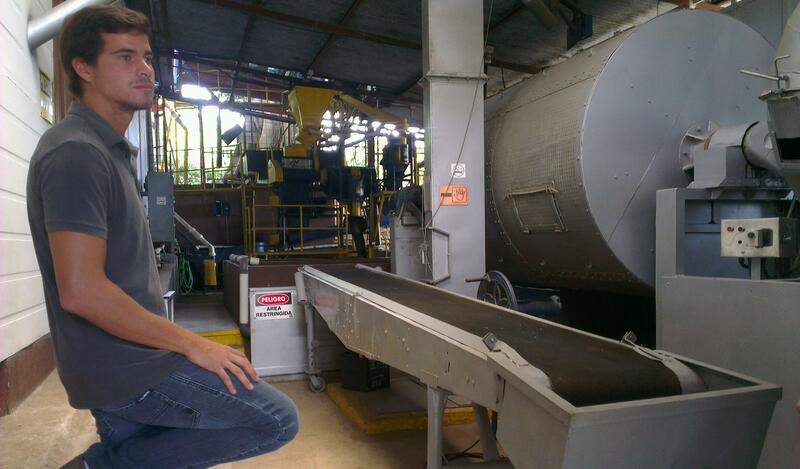 The first stop was one of the larger mills in the famous Tarrazu region, Coopedota. 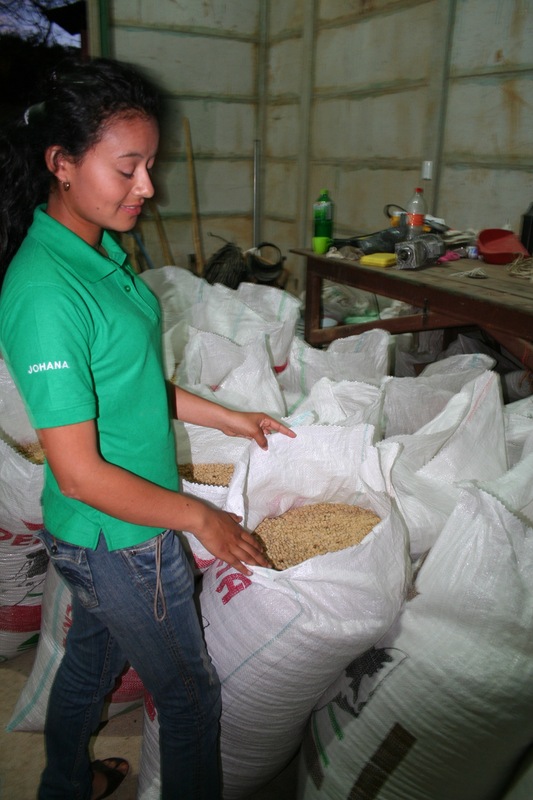 They process for about 800 farmers in the area, who each have an average of 2 hectares each. 3-4 families might group together to help each other get everything picked in time. The growers that deliver here are generally finishing up the last picking now, having mostly escaped too many rust problems this year. 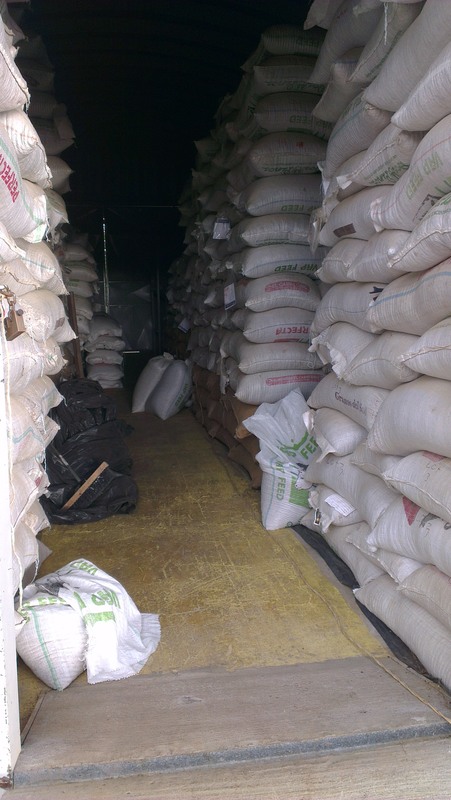 The mill was quiet on arrival but later in the afternoon, producers started coming in with their cherry deliveries, either in bags or simply filled in a big box on the back of a truck. At the peak of the season, 300-400 growers deliver each day. 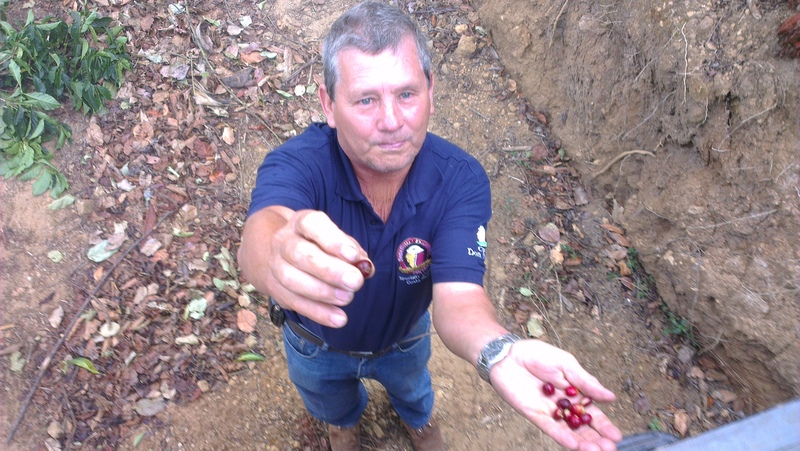 By law, Costa Rica pays for cherry by volume and not weight. If the delivery is a larger one, they measure in fanegas, big metal boxes with a sliding lid. One fanega holds about 250lb cherry. If the delivery is smaller, they might measure in cajuelas instead. 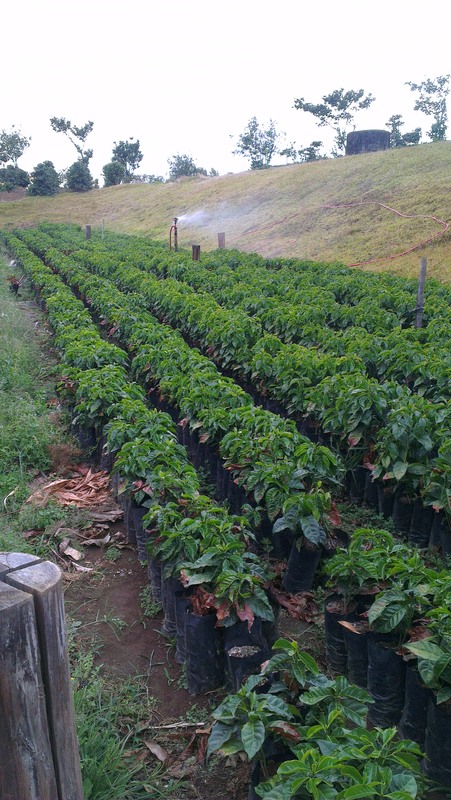 20 cajuelas make up 1 fanega, and 1 fanega cherry results in 1 quintale green coffee. 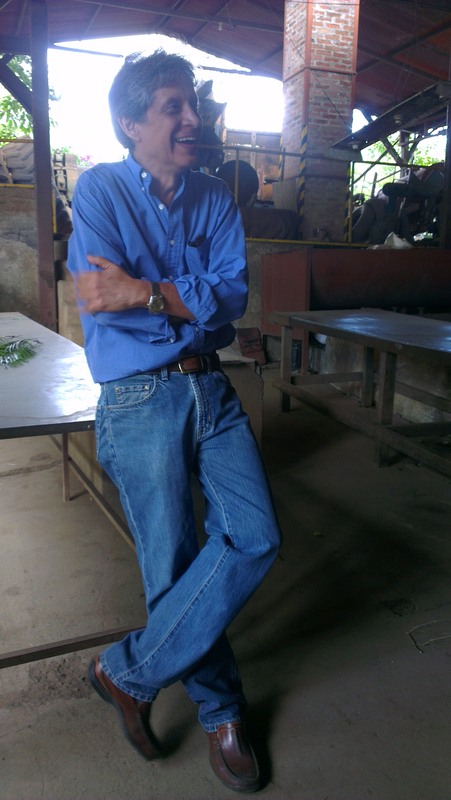 Coopedota is headed by Roberto Mata, and currently does about 50,000 bags of green per year. 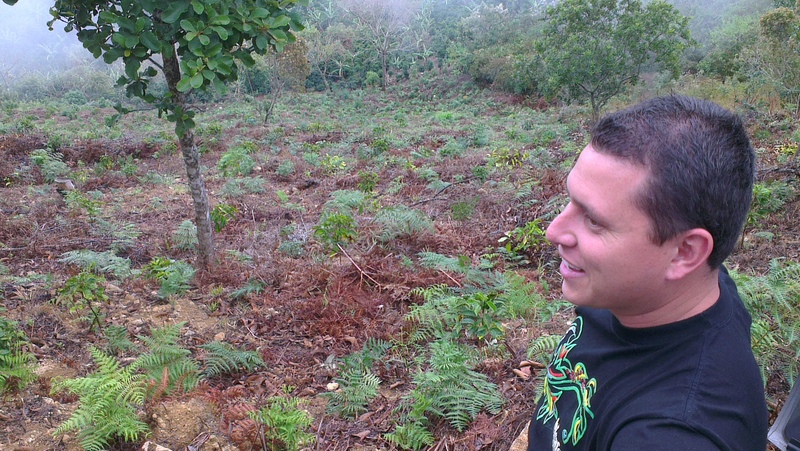 10 years ago they started doing microlots, creating 52 sectors in the Dota Valley to differentiate between. 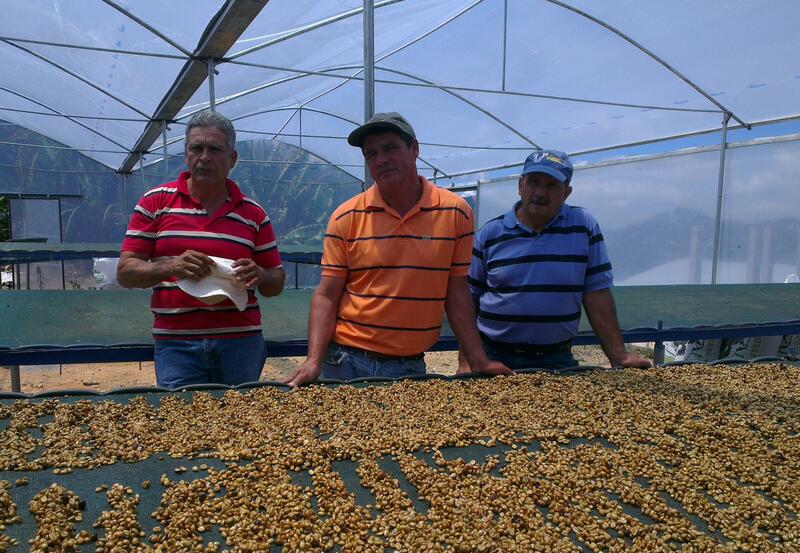 Currently they’re successfully processing 30-40 microlots per year. 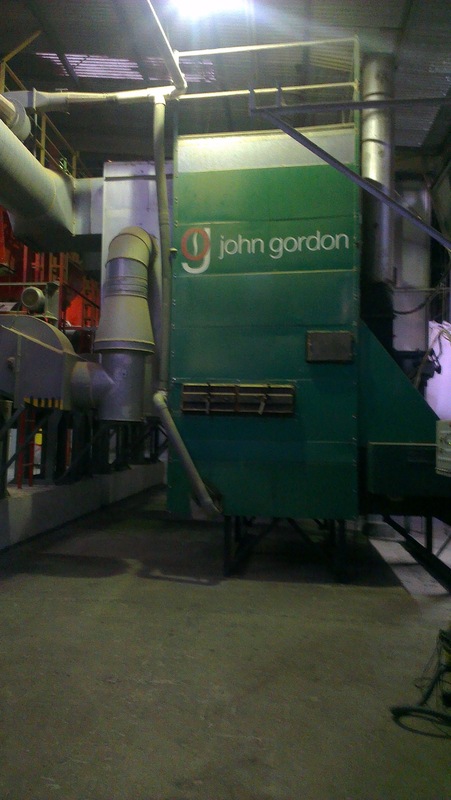 The mill is carbon neutral and complies with the strict environmental policies in the country. They even shut down the plant between 5pm and 8pm every night, so that the local community can have enough electricity to get their dinners cooked without the electrical suppliers needing to generate more power from anything other than the hydroelectrics they normally use. 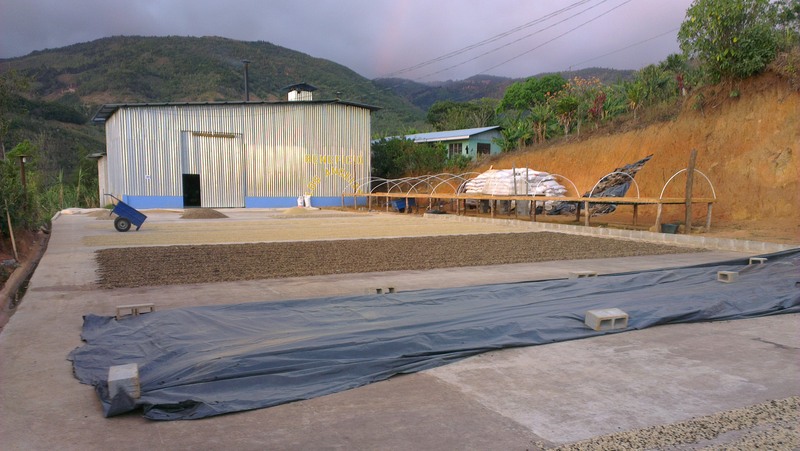 Thankfully, we were there at a time when there was at least enough power to run grinders and kettles, and Roberto and roaster Carolina laid on 2 big tables to cup in the lab. 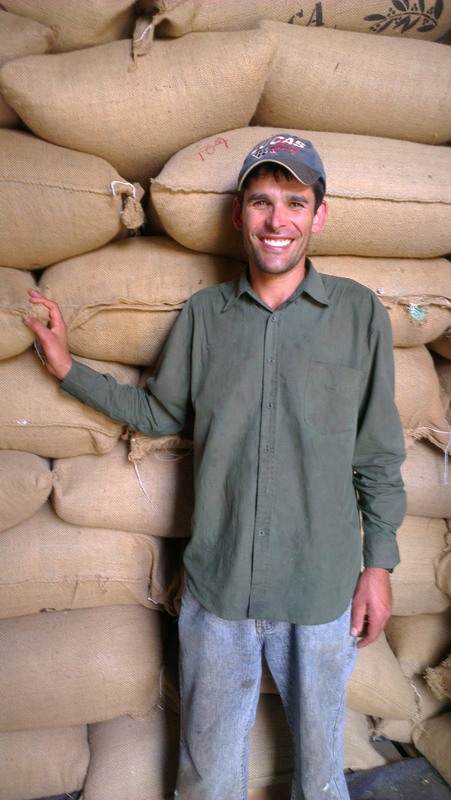 It’s funny when you’re a green buyer and travel a lot, you always run into your fellow coffee buyers wherever you go. 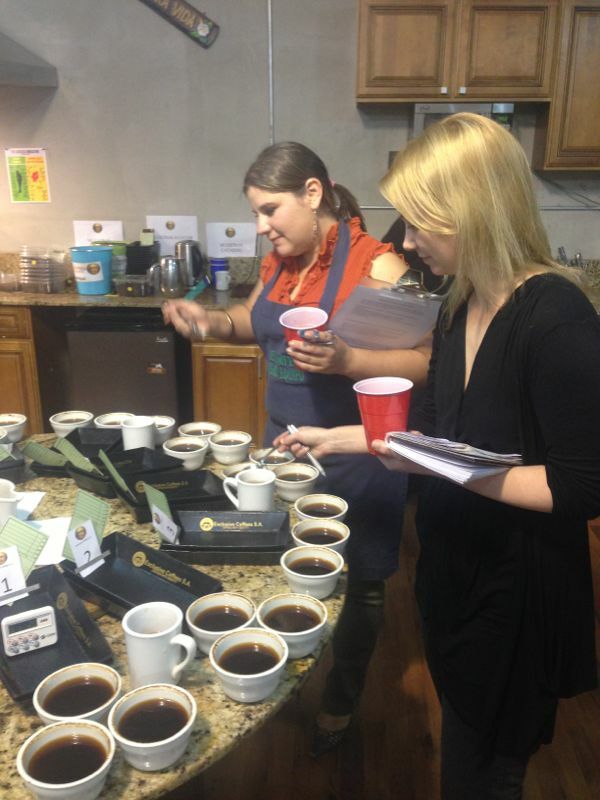 Costa Rica was no exception, and at the Exclusive offices there were cuppers from Europe, the US and Japan. The company is 5 years old just like us, and is run by Francisco Mena and his partner Juan Ramon. Cupping at this place is great but brutal, while you’re on your first 12 cup table they are already grinding and pouring water on the next 12 cups, so you just don’t get a break and your tastebuds get fatigued very quickly. But, you get to see a lot of samples which is always good! One of the greatest parts of traveling in Costa Rica is that everything is so close, and you can cover a lot of ground in one day. I had a list of mills I already wanted to see, and found a few on the cupping table that I wanted to check out too. I was able to cup some coffee from Finca Genesis with the owners daughter Maria, and we arranged to see her later that day. 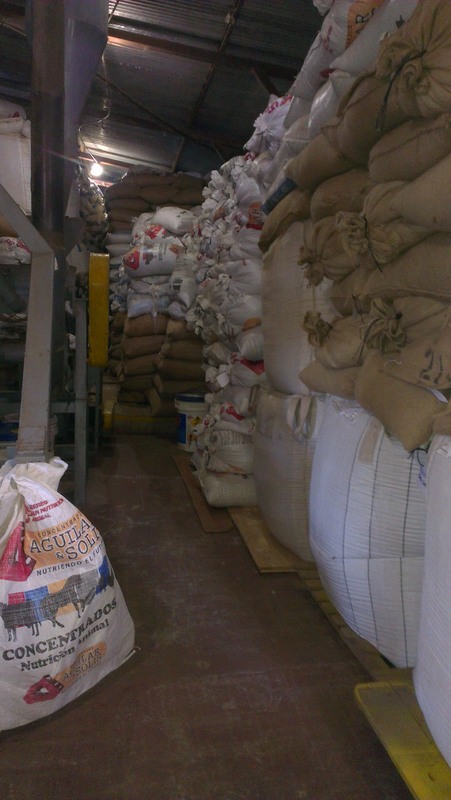 But first priority was always going to be Herbazu (HERmanos BArrante ZUnega), which is a mill whose coffee has been very close to us from the beginning in 2007. 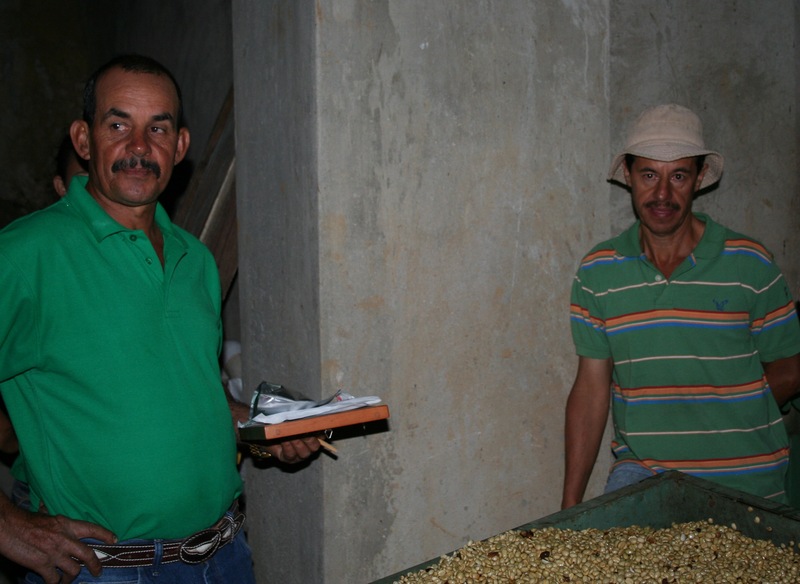 The brothers and extended family that make up this mill also run Sin Limites and La Perla, and they’re in the middle of building a 4th mill called Perla de Cafe. They finished picking and processing the week before, so Oscar and his wife Diana took us on a tour of the quiet facilities, the fields and the warehouses. 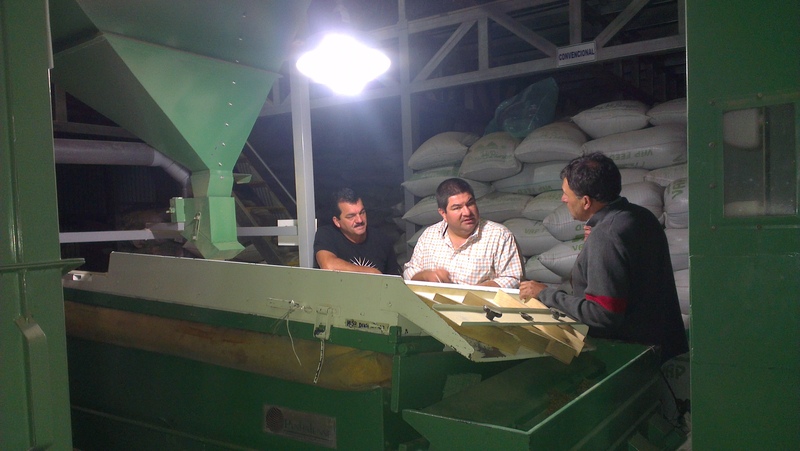 Juan Ramon credits the Herbazu team for launching the micromill revolution in Costa Rica, and being an inspiration for many of the others who followed. 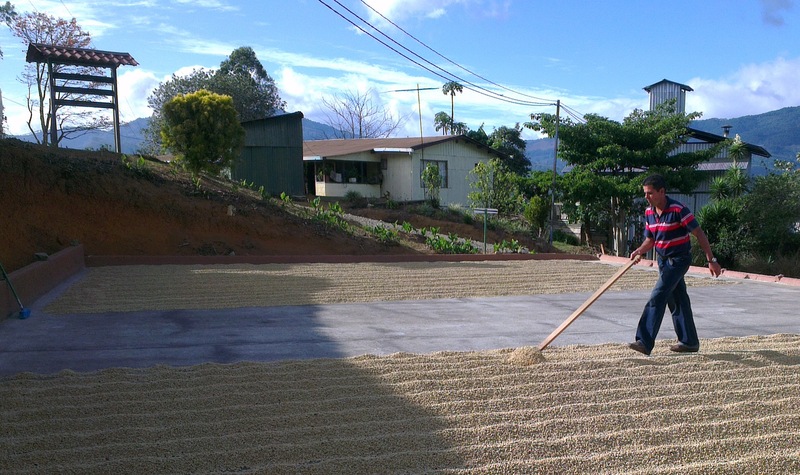 Changing the way many people in Costa Rica think of coffee, they’ve given coffee producers a new way of competing in an increasingly tough market. 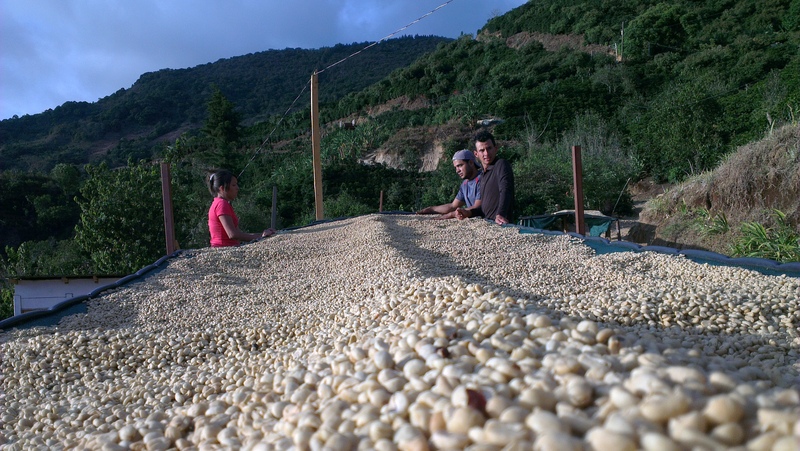 What is great to see is that many more of the younger generations are still seeing the value in coffee production, and are staying with it rather than leaving to forge other careers in the city. Oscar and some little trees that I’m very excited about…! 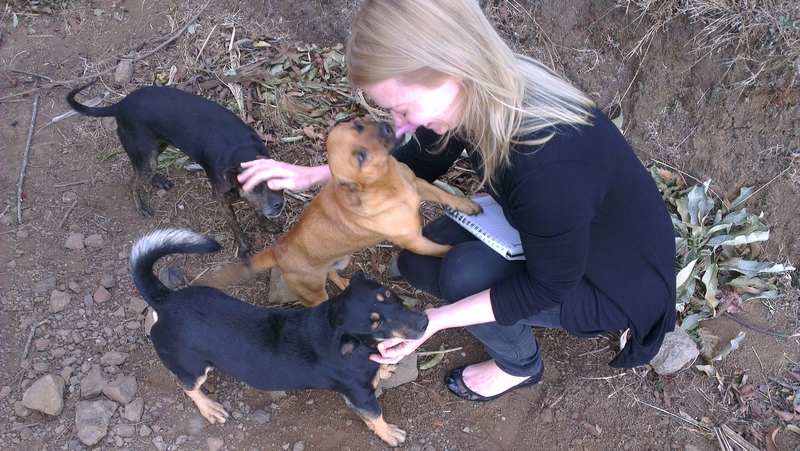 After Herbazu we went to see Maria at Finca Genesis, where she lives with her parents Oscar and Olga, children Santiago and Sunalini (yep, named after Sunalini Menon) and about 10 dogs in all different sizes. The farm is small and beautiful, full of trees and flowers, and lovingly kept milling equipment. 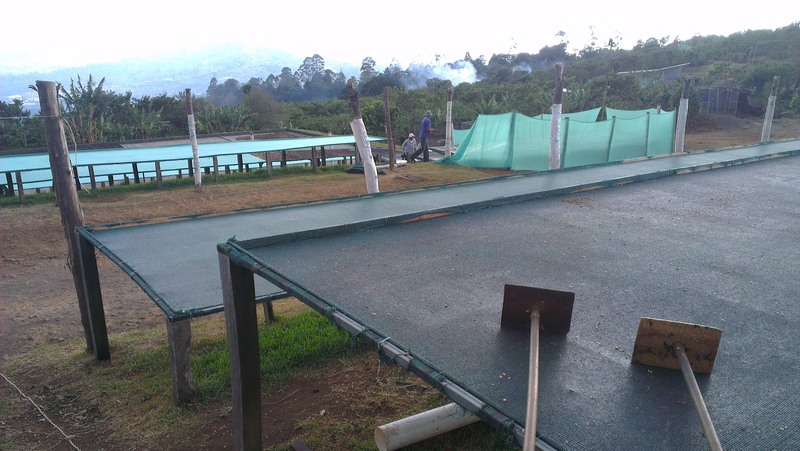 They use a Penagos pulper that saves water, and dry on patio and raised beds/trays that they can move around. 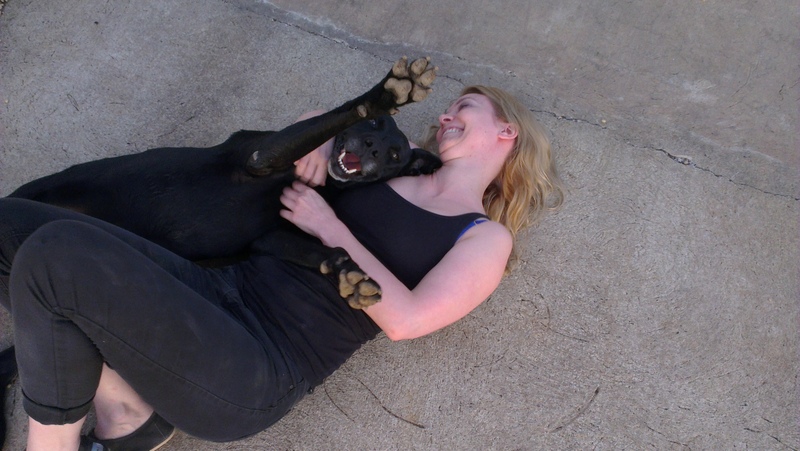 They have a separate set of clean shoes that they wear when working on the patio, and the dogs were impressively trained to never go onto it! I’m really excited to hopefully bring in some of this coffee, normally it all goes to a roaster friend in the US, so I’ll have to ask him nicely if he’ll share! 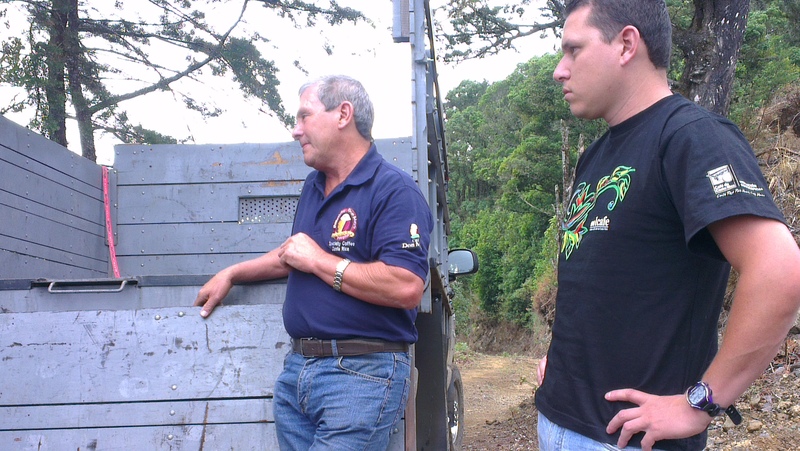 Next to visit were Ricardo Perez ,who owns Finca Santa Lucia which we had a couple of Christmases ago, and Marvin Rodrigues, owner of Los Anonos, at their mill Helsar de Zarcero. 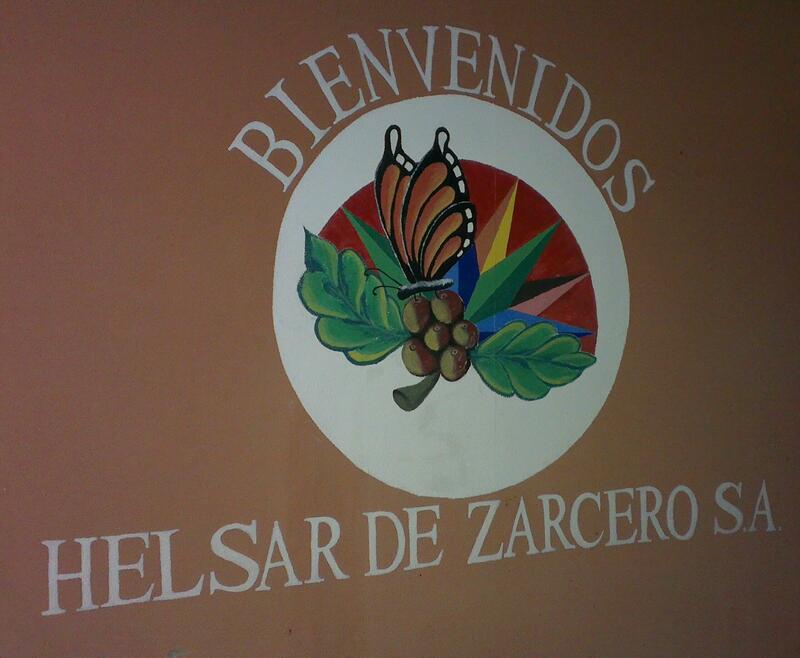 They started up in 2004 and now receive cherry from about 40 farms. With the unstable weather due to climate change, they started the season 22 days earlier this year than normal, so are nearly done with the milling. Over a cup of coffee (truly the best coffee I’ve ever had at a mill/farm) and some snacks we chatted about the various processes they do. 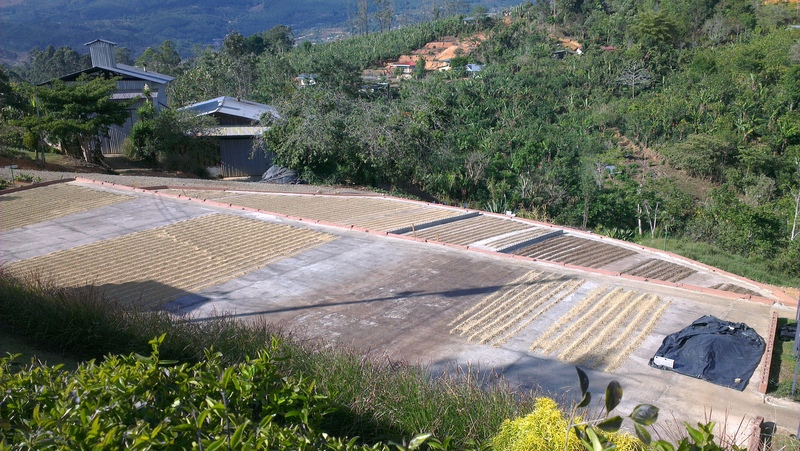 They’re in a fairly humid microclimate, so find it hard to do the honey process well, but instead they have patios, raised beds and driers to allow them to do washed coffee really well. Another mill that was on the list was El Puente, on the side of the Santa Cruz mountain, in Santa Cruz de Leon Cortez. 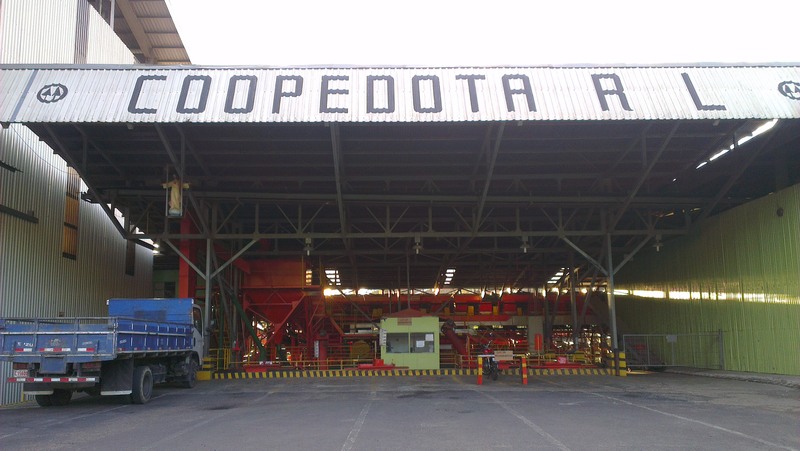 The 4 families of Mendez, Mendez, Naranjo and Rivera share ownership of this mill, and they get deliveries from 10 farms in total, among them La Pena and Santa Cruz. We were met by Rodolfo, Ephrahim and his wife Maria and Alexis, who put on a great spread of fruit and chicharrones before we took a walk through the buildings. 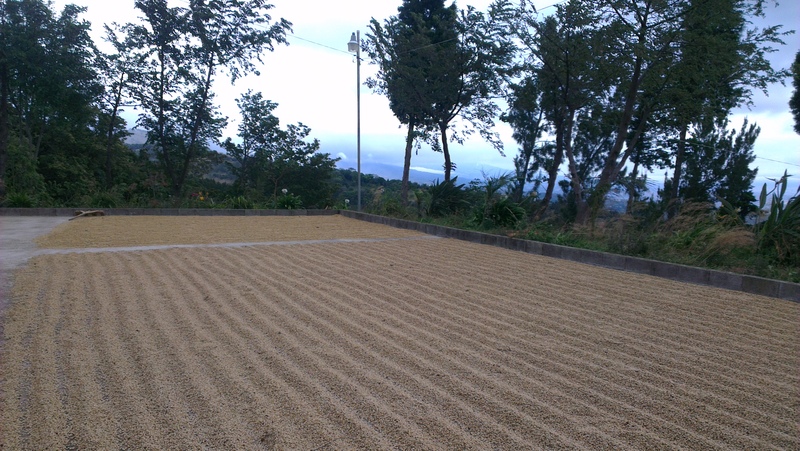 They dry on covered raised beds, and plan to start dry milling on site as well. 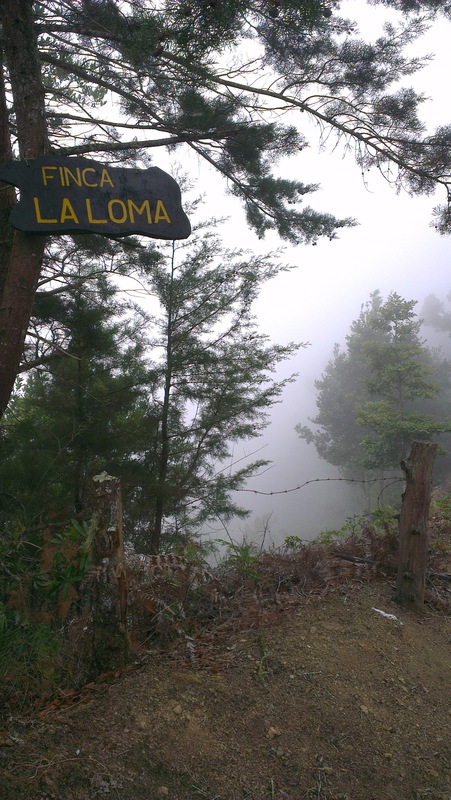 Next was Bella Vista and La Loma, which some of you will remember from a couple of years ago. 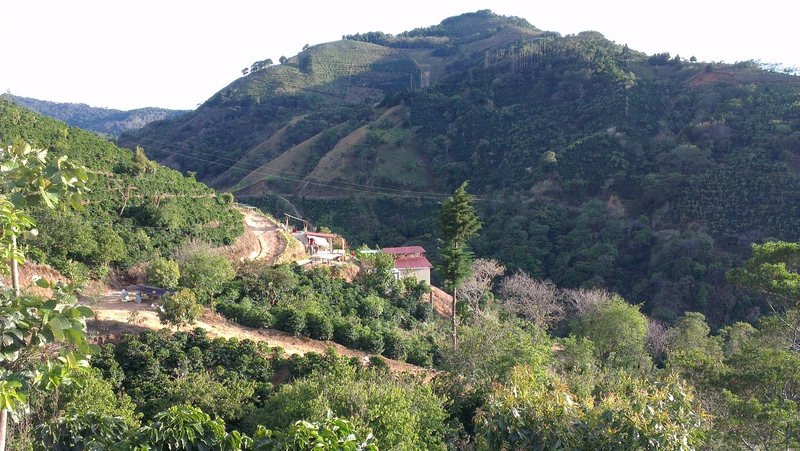 La Loma is in Llano Bonito de León Cortés, at 1950 metres above sea level and its coffee variety is 100% Caturra. 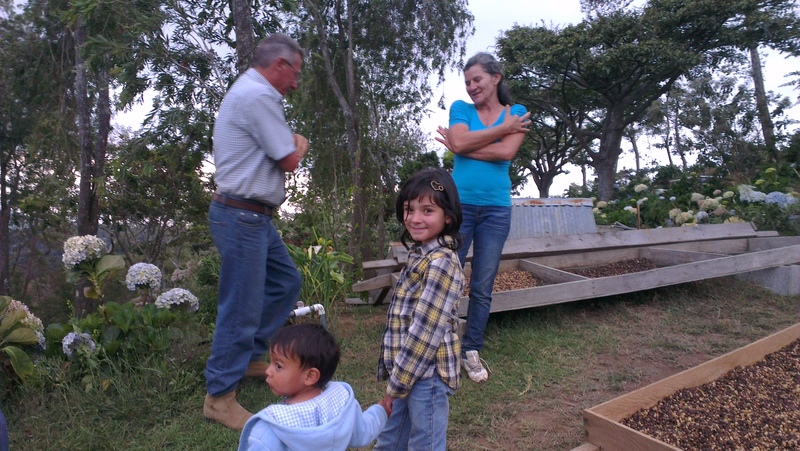 The farm belongs to a coffee growing family by tradition and is currently run by Hector Bonilla Solis and his family. For shadow they use poro and guineo trees and they plant avocados as an alternate product. All the farm care is manual and there is no use of insecticides or pesticides, in order to protect the environment and the workers health. Harvested cherry is picked and milled on the same day. 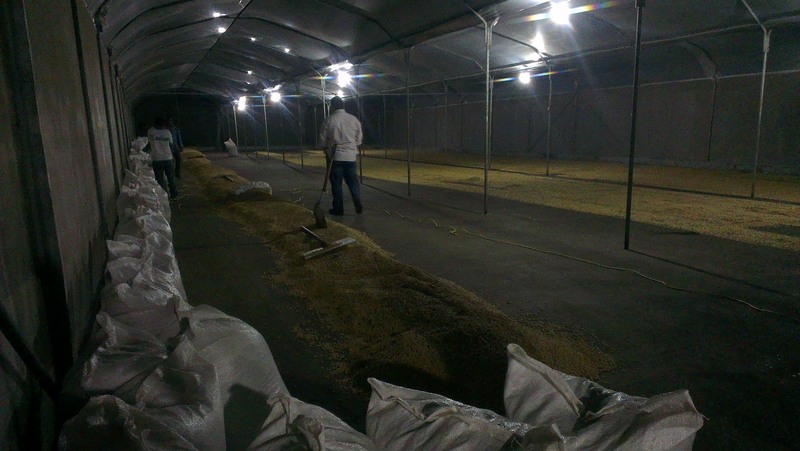 The coffee is processed at the Don Mayo mill which is owned by the Bonilla Solis family, with Luis Pablo being the Manager of Production at the mill. 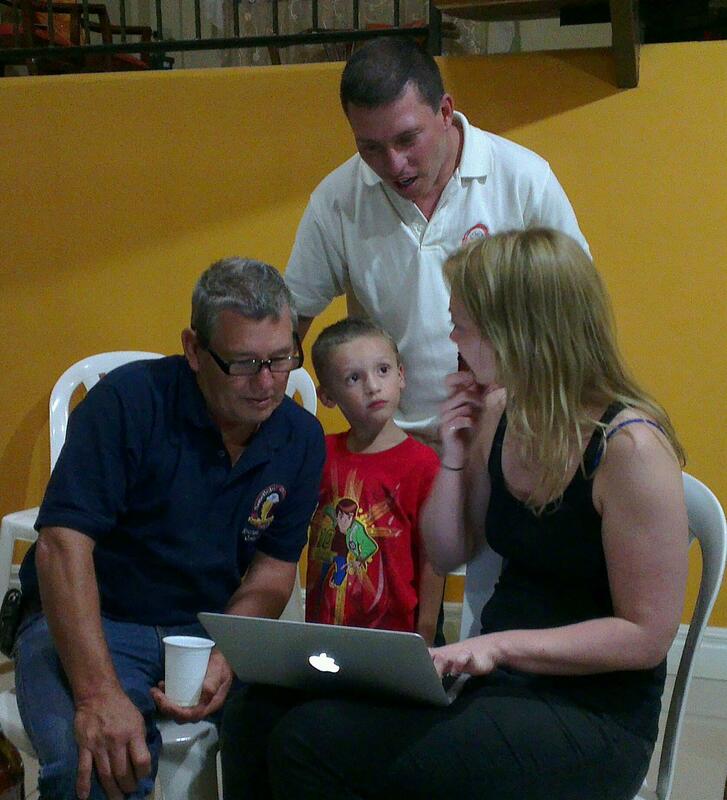 I had a chance to sit down with Hector, his son and grandson after dinner, and was able to show them a bit about what we do and how we presented their coffee La Loma when we had it in house last. 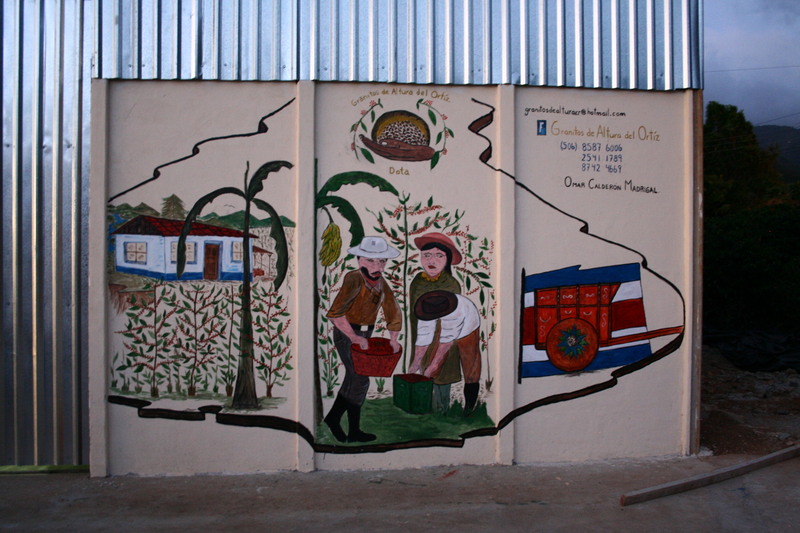 The micromill of La Lia in San Lorenzo de Tarrazu is named after Doña Lia, Luis Alberto and Oscar Monge’s mother. They built it in 2007 to get a bit more stability in the price they were receiving. 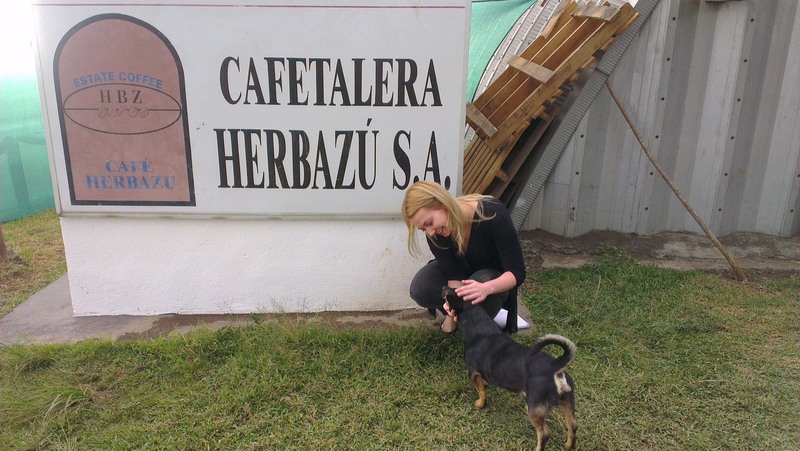 They knew their farms produced quality but wanted a closer control over the rest of the chain. Luis worked in the landscaping business in the US for a bit, but returned to Costa Rica and bought a farm and built a house with his savings. 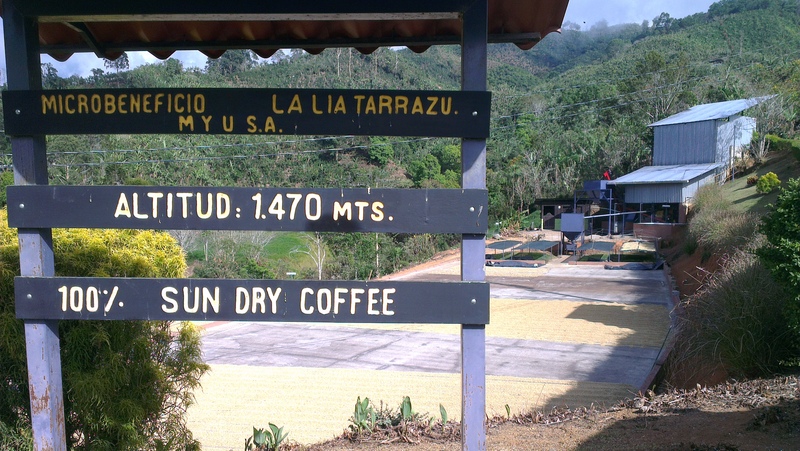 The mill is set on the farm called San Lorenzo, and they also have El Dragon, San Isidro, La Trinidad, Sta Rosa 1900 and 1700, Sta Marta and Sta Rosa Tarrazu. At the cherry reception they have two fanegas set up so they can split between qualites from the start, as some farms might be coming to the end of harvest while others are only starting. 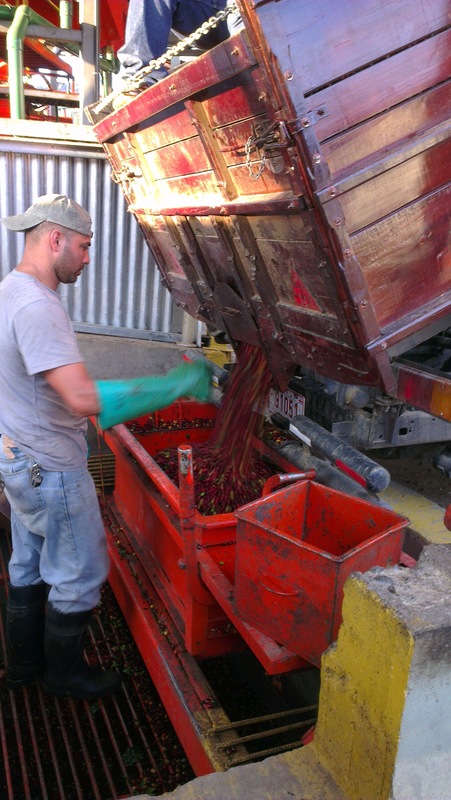 Their Penagos pulper can get through 500lb of cherry per hour, and had it’s last day of this season’s operation yesterday. 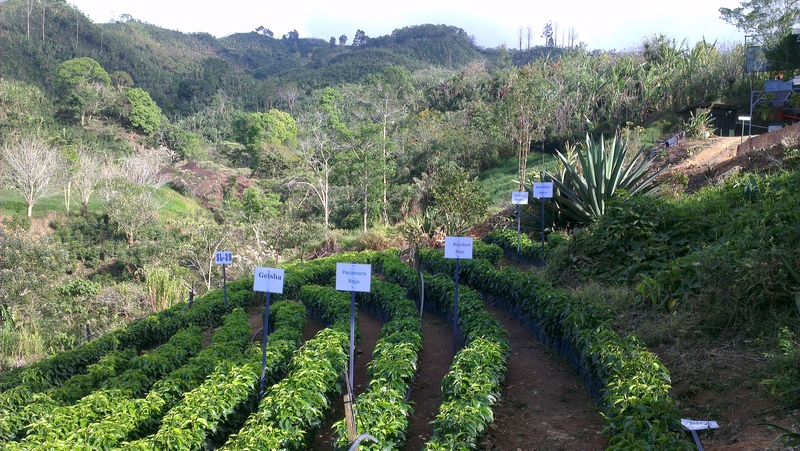 They also have an impressive nursery with varietals like Villa Sarchi, Caturra, SL28, Geisha, Red and Yellow Pacamara, Red, Yellow and Pink Bourbon. 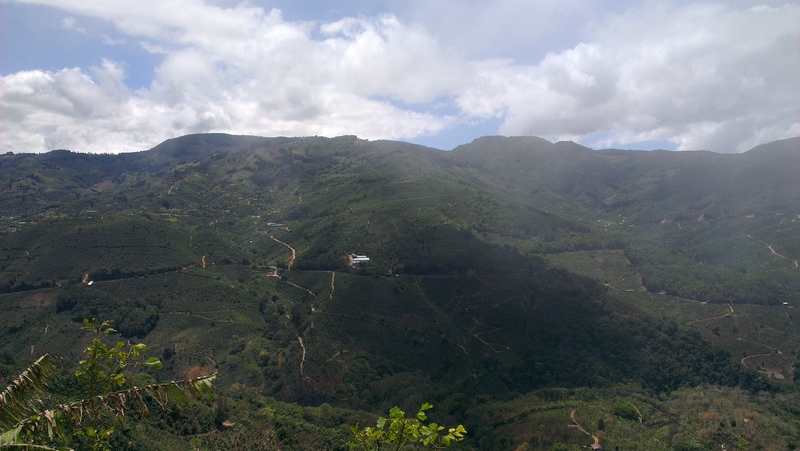 Next up was the town of Santa Maria de Dota and the mill Monte Copey at 1800 masl. 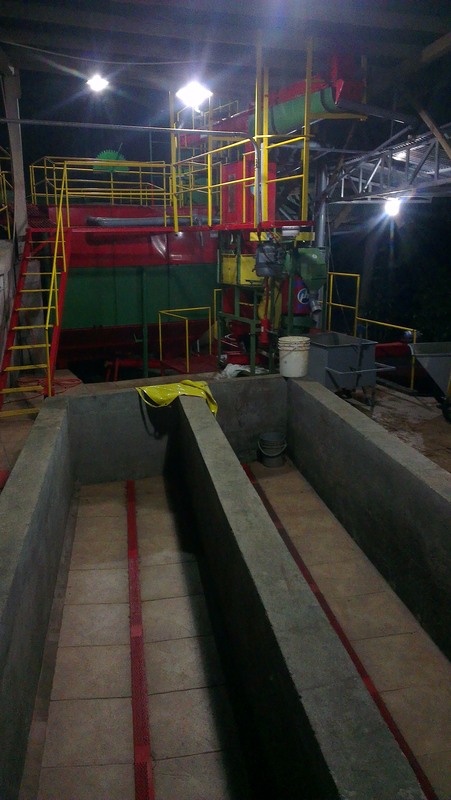 A 4 year old mill, Enrique Navarro and family run this processing facility to deal with the cherry from Fincas La Bandera Calle Copey, Halcon, Cascada and Encino. They do washed, natural, honey and also some Kenya style washing. I also got to visit the Los Angeles mill, where I possibly spent most of my time rolling around with Jack rather than taking notes… But Ricardo Calderon and his family were very welcoming and hospitable! They mill for Fincas Estrella, Granadilla, Girasoles, Flores, La Casa, Bisunga, Cedral, Las Nuber, El Colegio, San Carlos, Ortiz and Pastora. Literally across the road from Los Angeles was the second to last mill of the Costa Rica tour, and owned by Ricardo Calderons brother Omar. Built only last year, Granitos de Altura del Ortiz is also run by the extended family, mainly the 4 daughters. 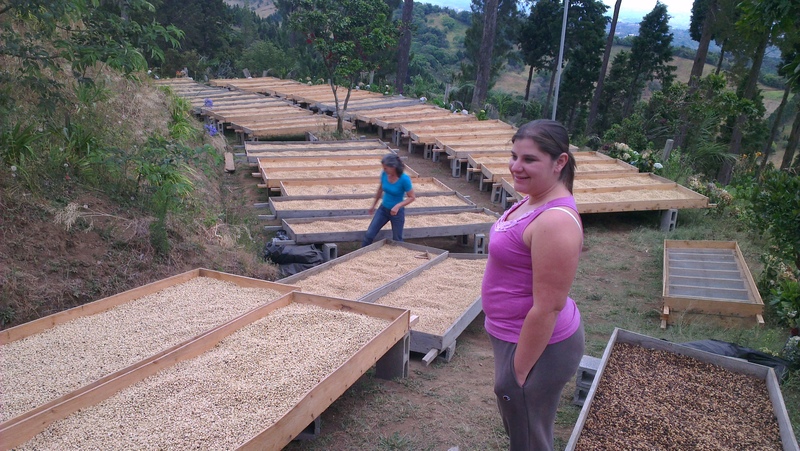 They milled for Ortiz 2000, Ortiz 1900, Neri and Granadilla this year. After a quick walk around, it had gotten quite dark so were invited back to Ricardo’s house for some homegrown granadillas and other snacks, and a chance to try Doña Lourdes’ home made sugar cane/condensed milk/coffee liqueur, very tasty! Last on my Costa Rica trip I went to see the Sonora Estate, who produced the Finca Cacao you might remember from last year. Owners Alberto Guardia, wife Anna, son Diego and pack of dogs in all sizes and shapes were lovely and welcoming, put on a great lunch and gave us a tour of the estate. They make mostly honey process here but can still do washed as well, and both wet and dry mill on site. Sonora used to be a sugar mill, and the old equipment is still there and in use annually. We’ll try to get some of their panela in next time they harvest the sugar cane! The estate is well irrigated as they have their own water source coming in straight off the mountain, and a hydroelectric generator produces most of the electricity needed on site. 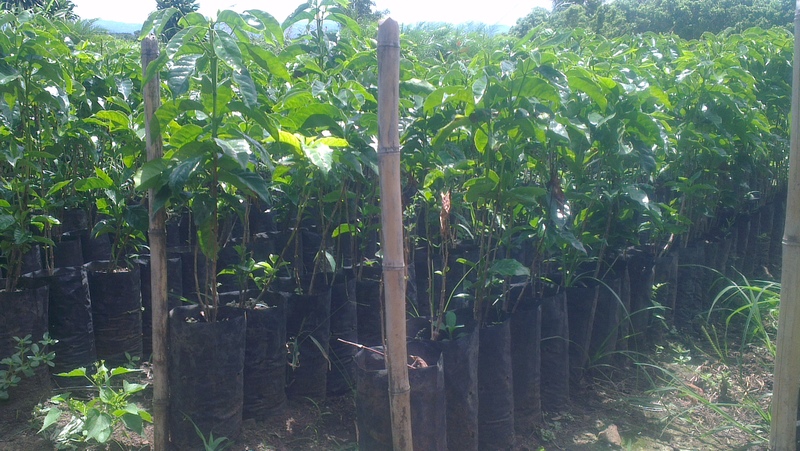 The nursery was full of healthy looking trees ready to plant out next year, 45 of the 90 hectares is already coffee but there is always need for regeneration and expansion. 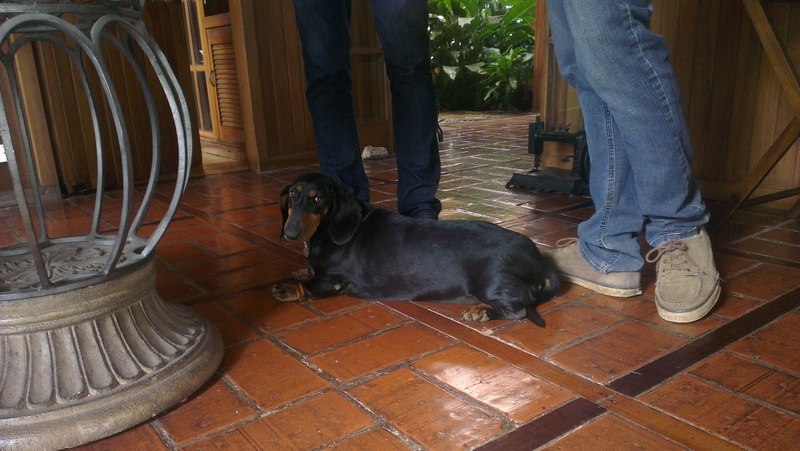 With Chica the dachshund underfoot, we did a quick in house cupping of some of this years lots, and we’re just waiting for more samples now to see what we might be able to bring in this summer!